A dear friend just recently gave me 3 bottles of infused olive oils and I am SO excited to use them! The flavors are lemon, rosemary, and hot pepper. I've opened and used the lemon one and it is so awesome! I love to make lemon pepper salmon so I used that to cook it in on my stove and it was wonderful. It did give it a subtle extra lemony boost. Lemon infused oil would be delicious with making chicken and even just sautéing your vegetables anytime. I make sautéed vegetables almost every single day so I can't wait to use all three of these flavors to mix up the flavor of my veggies a little bit every time. Then there's the rosemary infused olive oil. Oooooooh boy! 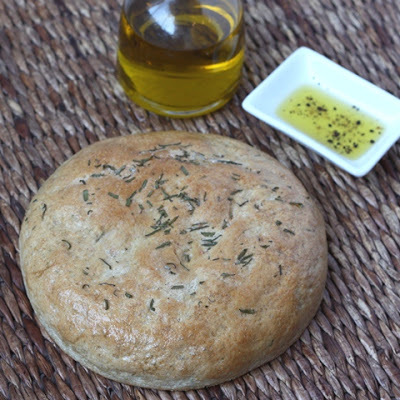 Think of how yummy it is when you are lucky enough to go to a restaurant and they are serving a nice crusty loaf of bread (extra bonus if it's crusty rosemary bread!) with the delicious dipping oil. It is so good!! 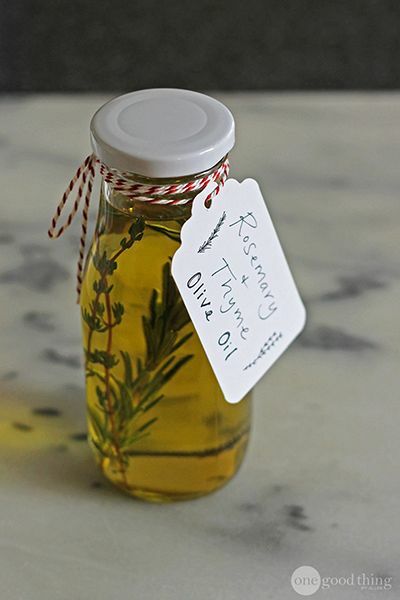 So imagine if your oil was infused with rosemary too. It would be so delightful! My friend got this lovely trio at Trader Joe's so you can go grab it if you live by a Trader Joe's, but even better would be to make it yourself! And it is so easy! Before starting be sure to clean out your containers and wash all of your ingredients and let them dry completely. This is critical because moisture may allow for bacteria to grow. I washed my containers and ingredients and let it air dry for 24 hours. Once everything is completely dry it is as simple as adding the ingredients and pouring the olive oil over it in the container. The olive oil works to preserve whatever you decide to include. You can use the olive oil right away but letting the mixture sit about 2 weeks will allow the ingredients to infuse properly. I just think these would make the perfect gift you could give to a hostess, a gift for a co-worker, or for Christmas, you name it! I don't know anyone who wouldn't enjoy this as a gift! 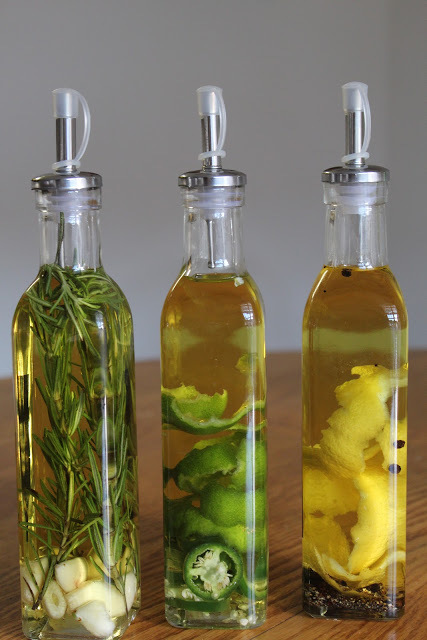 Have you ever tried making oil-infused olive oils? Let me know how you liked it in the comments below!